Memorial Day Weekend in Athens - Great Deals & Events! This Memorial Day weekend is shaping up to be a busy one for all Athens, GA, folks and friends! With a great lineup of options for fun and lots of savings, there is no excuse not to get out and enjoy this holiday weekend. Maintaining the true spirit of Memorial Day, many Athens Businesses will offer special deals to our amazing men &amp; women in uniform. Active Climbing is happy to offer a free climbing session to any and all holders of military I.D from 4-8 p.m. this Monday. Hotel Indigo will be running a Memorial Special, Friday through Monday, with rates of only $59 a night for members of the military. Be sure to mention the special when calling ahead to make a reservation. Hampton Inn is offering a rate of $80/night with military ID. At Sweet Peppers Deli this Memorial Day, all men and women in uniform will receive a free entrée of their choosing upon arrival. If your uniform is a bit more snug than it used to be, just bring along a jacket or article of insignia instead and enjoy your free lunch! For more information on this event, visit our calender listing. If you’re looking to get a little less traditional before your all-American Memorial Day or if you’re just looking to get a little culture, then don’t miss your chance to see ATHICA’s spring exhibit, The Way Things Work, in it’s closing weekend. The exhibit ends in celebration starting this Friday in a reprise of The Way Things Go 2, a video art experience, with outdoor screenings of short video artworks on the ATHICA porch from 8:30 p.m. to 9:30 p.m. On Sunday, the closing ceremony will consist of an artist and curator discussion panel followed by a picnic on the porch provided by White Tiger and Trumps from 4:00 p.m. to 6:00 p.m. With 12 artists from around the country and abroad, this highly stimulating exhibit includes artwork in forms ranging from large-scale installations to pencil drawings. 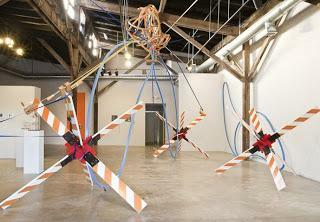 The works featured focus around a theme of systems and norms within culture and society. With pieces like the one pictured below, Trivialities of Deportment by Will Pergl, this exhibit is sure to get you thinking! So try your hand at non-conformity and do something a little different this Memorial Day weekend! For more information about this exhibit, visit out event listing. 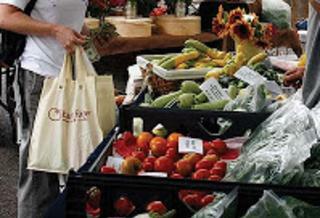 Get fresh at the Athens Farmers Market this Saturday at Bishop Park from 8:00 a.m. to noon. Local foods, crafts, and works of arts from area farmers and volunteers will fill the park along with music from 2 very different groups of performers. Starting the day off right will be the all-female folk trio, Maiden Radio, performing at 8:00 a.m. Then prepare yourselves for a trip to the deep South when Maculele Capoeira take the stage in a traditional Brazilian performance of dance, martial arts, singing, and instrument playing. The Athens Farmers Market is always a great option for your weekend plans, as you’ll get to mingle with the community, enjoy the beautiful morning, and support local commerce. Learn more about the Athens Farmers Market by visiting our event listing. The city of Winterville will host Veteran Appreciation Day this Saturday. A complimentary BBQ lunch in Pittard Park will be provided for veterans and spouses following a ceremony at the Winterville United Methodist Church. ACC Library will be kicking off its new “Harry Potter’s World: Renaissance Science, Magic and Medicine” exhibit this weekend with an opening reception on Sunday and a movie screening on Saturday. The travelling National Library of Medicine exhibit will explore the relationship between Harry Potter’s wizarding world and foundational Renaissance science and medicine. Get crafty at The Native America Gallery on Friday night with a beginner earrings class from 6-8 p.m. Enjoy the sounds of the city this Memorial Day weekend with fantastic musical acts happening around town. Big name artist, Ryan Bingham and the Dead Horses, will be headlining at the 40 Watt Club this Friday night. Or catch the soon-to-be-big-name Athens’ band, Reptar, at Little Kings Shuffle Club this Saturday night before they embark on a summer tour at hot spots and festivals around the country. Bring your family, bring your friends, it’s going to be a very exciting Memorial Day weekend in Athens, GA. Visit our calendar for even more information on Athens’ events this weekend and beyond! Have a great one, friends!